ITM Power, a leading developer of hydrogen technologies, has successfully obtained a contract to build a new hydrogen fuel station in France. The contract comes from Hydrogene De France, a prominent energy operator focused on hydrogen fuel. The contract is valued at $1.6 million and construction on the new fueling station will begin in 2017. The project is being partially funded by the European Union. The EU has a vested interest in promoting the expansion of a hydrogen fuel infrastructure. This is meant to spur the growth of clean transportation throughout the region. The new fueling station will be equipped with an onsite electrilyser. The fueling station will provide fuel to consumers as well as fleets comprised of fuel cell vehicles. ITM Power will be providing the electrolyser used by the fueling station. Once this technology is delivered, Hydrogene de France will be responsible for the installation, operation, and maintenance of the station itself. ITM Power CEO Dr. Graham Cooley notes that the deal represents an “important sale” and this will likely help France’s hydrogen market expand. France is quickly becoming a leader in the development of new hydrogen fuel stations. The country has invested heavily in its budding hydrogen infrastructure in the hopes of promoting clean transportation. 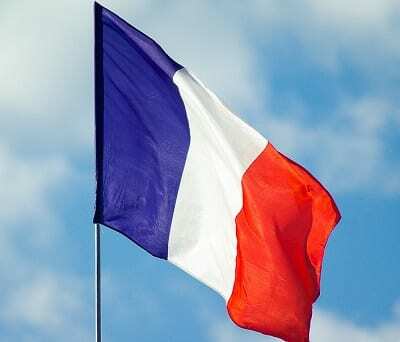 France intends to become more environmentally friendly by limiting emissions produced by vehicles. As a result, the country hopes to establish a comprehensive hydrogen infrastructure to support and promote the adoption of fuel cell vehicles. Despite the country’s efforts, building such an infrastructure has been a slow and expensive task. There are very few fuel cell vehicles available in France currently. Indeed, these vehicles are still quite rare throughout the world. Automakers are keen to release these vehicles more aggressively, but have opted for a slow launch due to the lack of hydrogen fuel stations in prominent markets. ITM Power is one of the companies that has aided in the development of new hydrogen fuel stations for years. Good to hear that France is quickly becoming a leader in the development of new hydrogen fuel stations. Now the good news in the 4th of July that the NASA probe had just arrived in the planet Jupiter. Did you know that %97 of the volume of Jupiter is composed of liquid nitrogen. It free go get it. Good to hear that France is quickly becoming a leader in the development of new hydrogen fuel stations. Now the good news in the 4th of July that the NASA probe had just arrived in the planet Jupiter. Did you know that %97 of the volume of Jupiter is composed of liquid hydrogen. It free go get it.